whoa. Do they require to have special knowledge in order to ride that monster ? Hey! Good to see you still around rolz! You browing the internet means, not everything has turned into worstcase? Yes, still alive and kicking. Visiting forums from time to time. Gonna spend more time here when i have it. BTW. Added a bunch on handsome features to techno lately, hope to show them all later this month. Good to hear, that your alittle "back to business"
No. I think it's helpful to know how to drive a car, but they explain everything else and are giving orders what to do next. Egon thats awsome. Im going to try that when I go too germany . Oh my goddess~!! 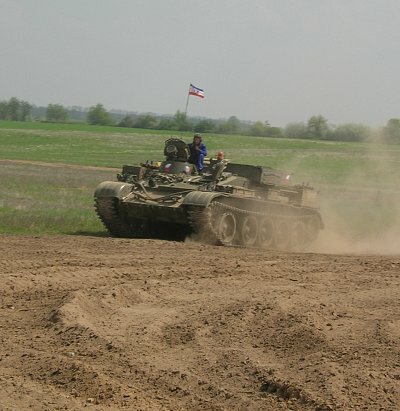 Riding a tank = cool. Smashing stuff in a junkyard with a tank = much awesome. I do not know why, but I would love to try that atleast once in my life!! Way to go Egon~!!! That have to be very cool. I cant neither drive a bicycle nor a tank. But still I will be able to run over some people I found on the way.